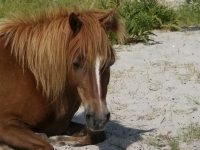 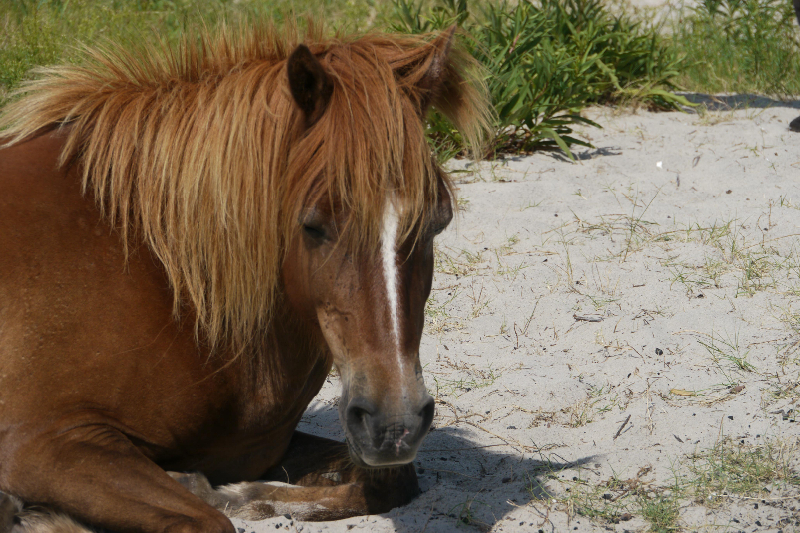 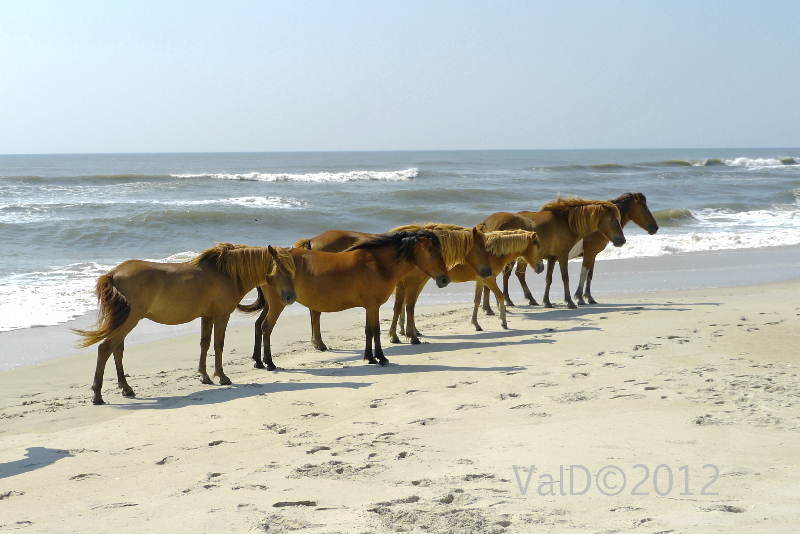 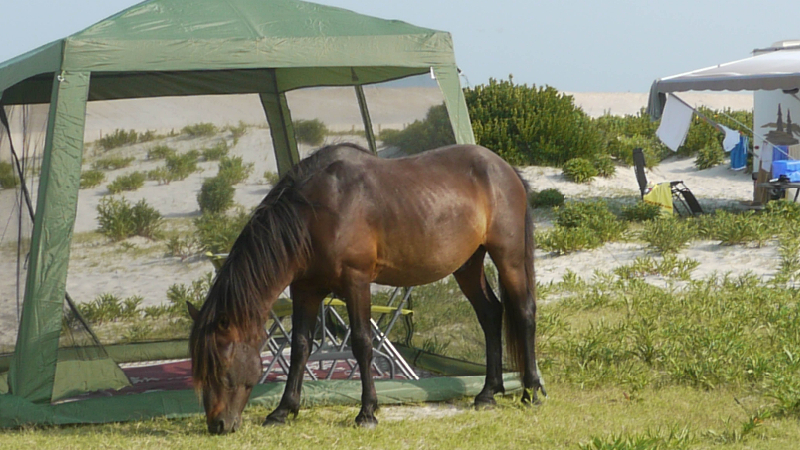 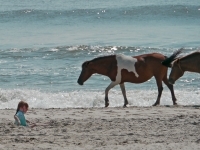 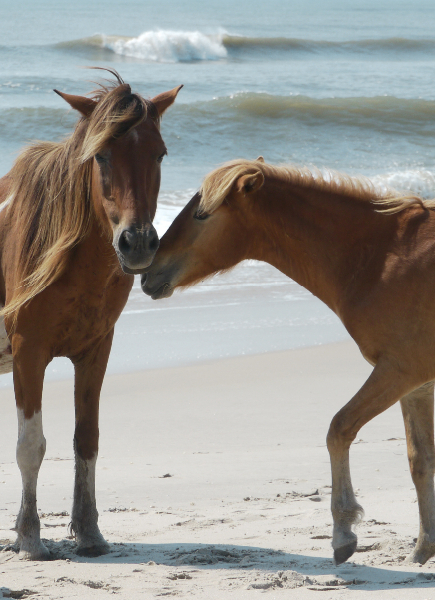 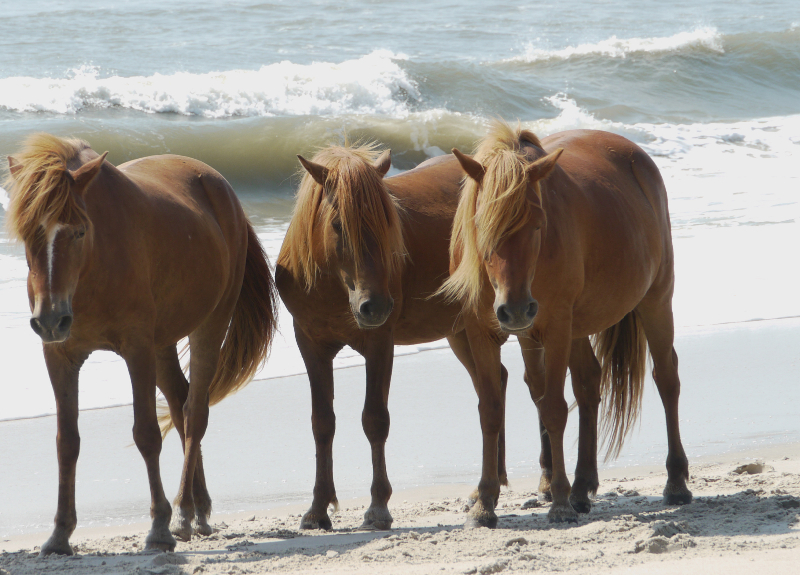 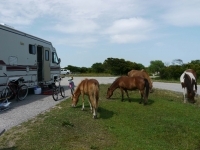 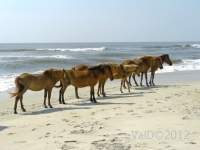 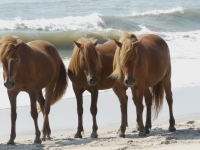 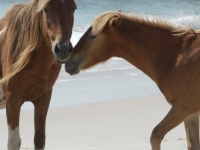 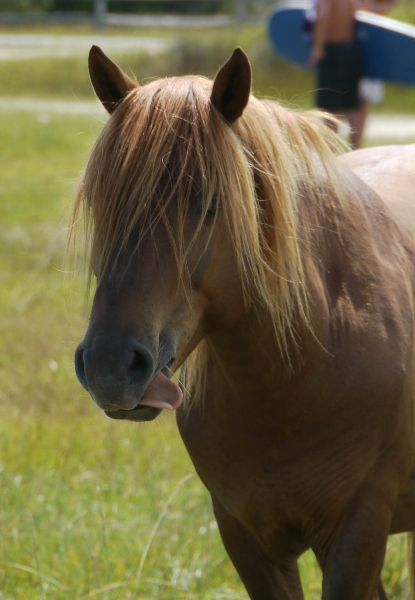 Assateague “wild” horses are world famous. 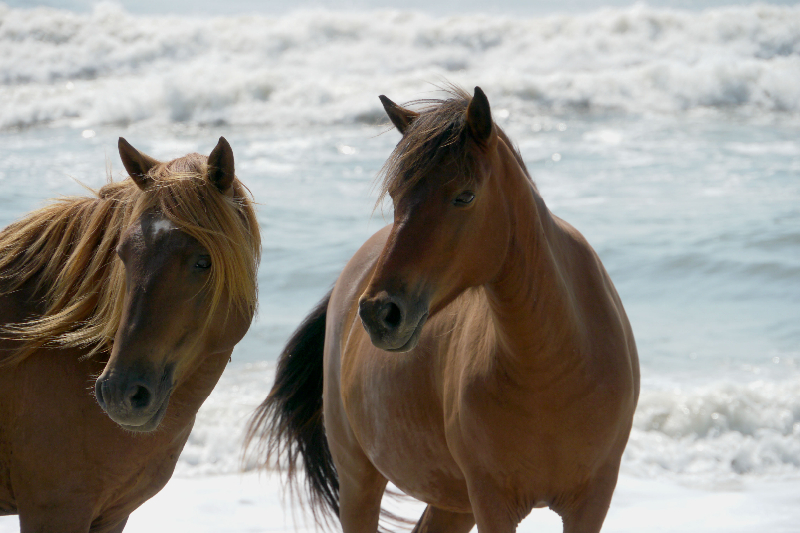 A book has been written about them and a movie, too. 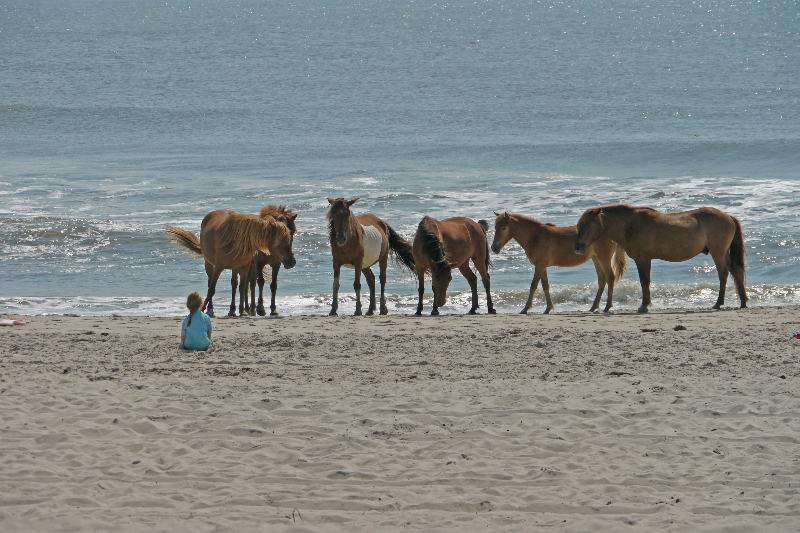 “Misty of Chincoteague” memorializes the ponies that live on this 48,000 acre barrier island along the Mid-Atlantic Coast. 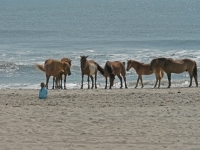 Some suggest the horses are descendants of those brought to the area by settlers in the 17th century. 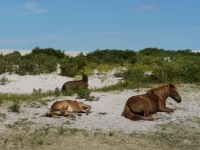 In 1697, however, a Spanish shipwreck was discovered off the Island given credence to the long time belief that the horses are descendants of the survivors of the shipwreck. 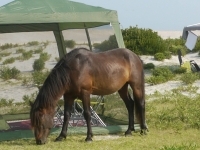 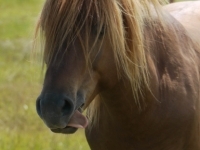 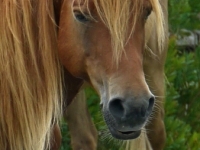 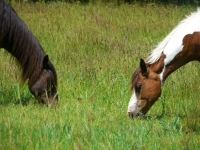 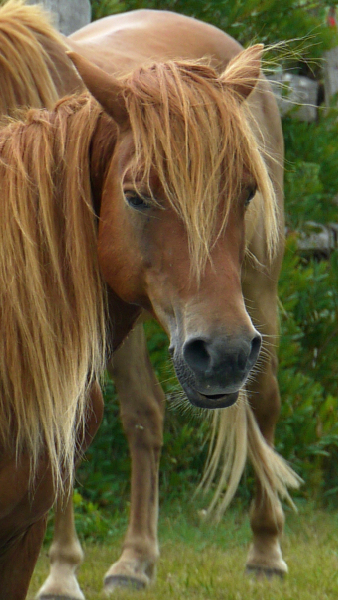 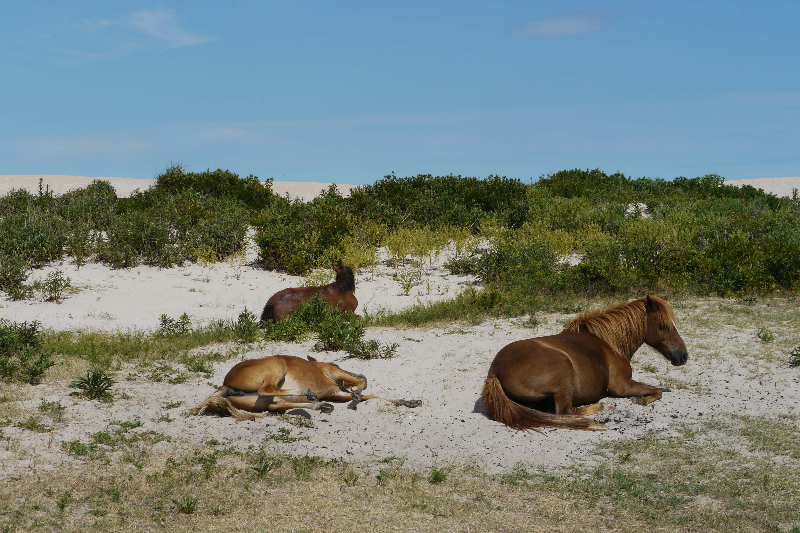 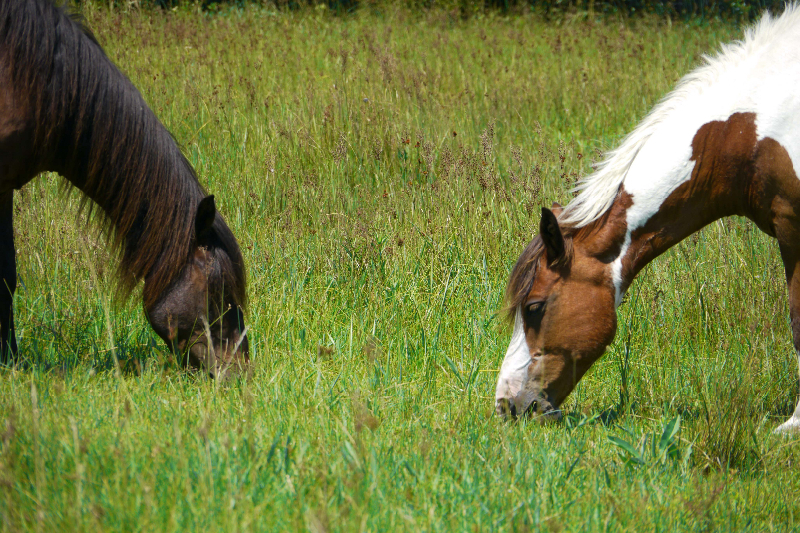 Either way, the horses survive in a severe habitat of heat and extreme storms in a salt marsh and pine barrows with abundant mosquitoes to form a unique wild horse society. 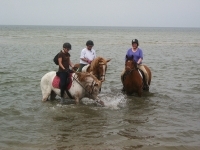 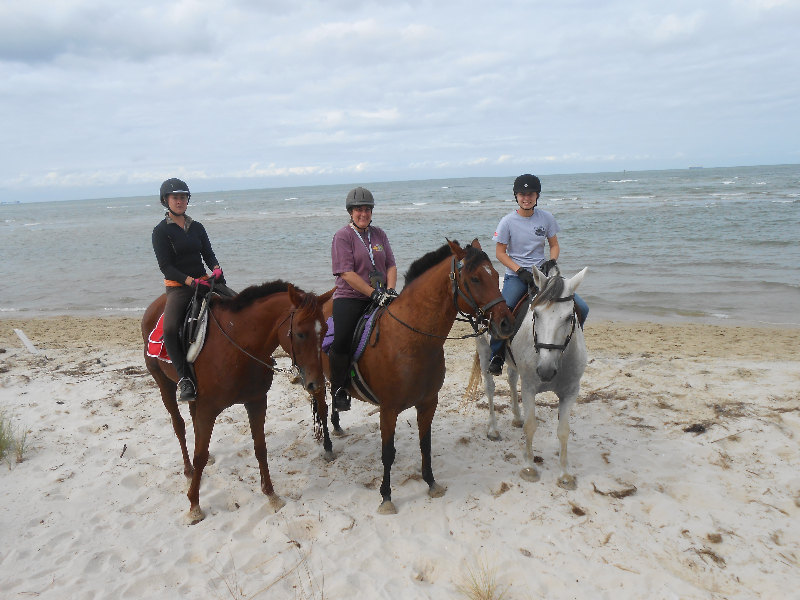 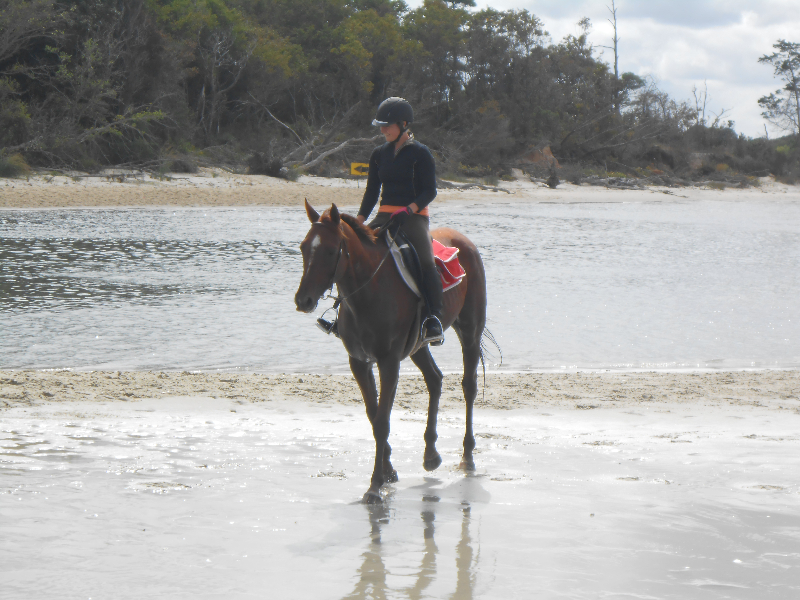 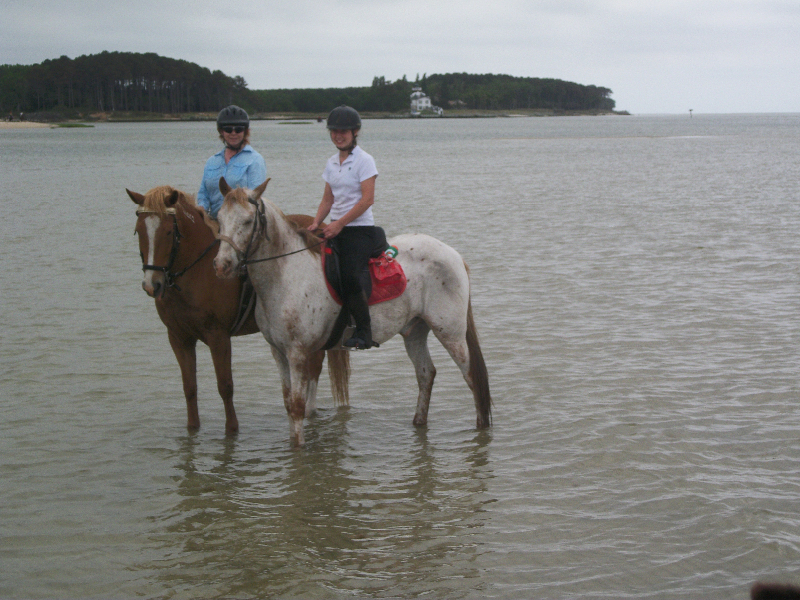 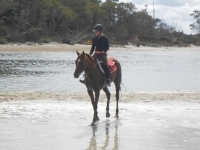 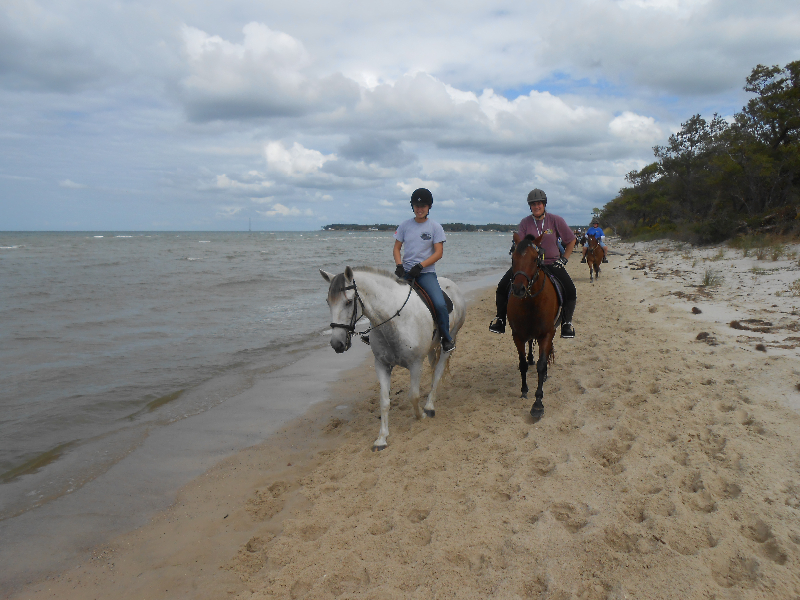 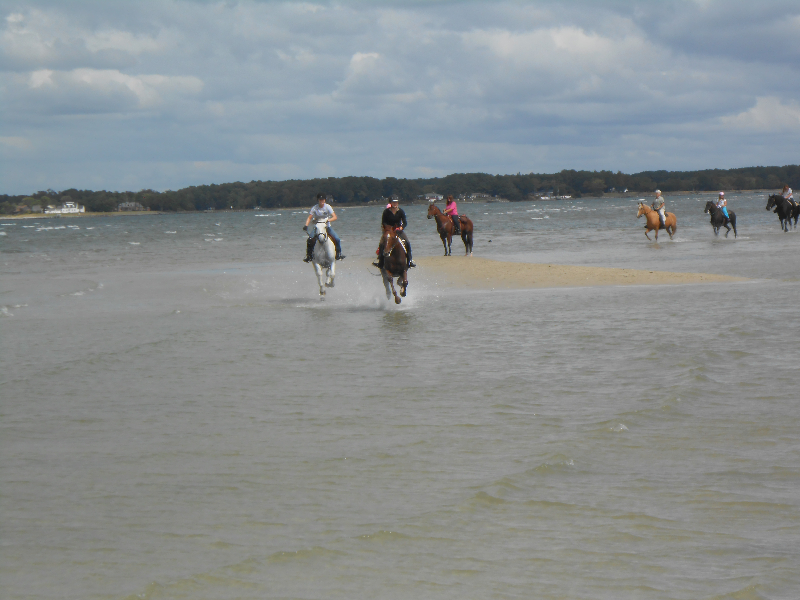 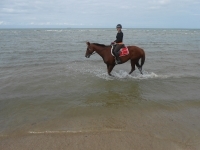 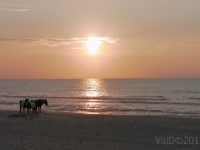 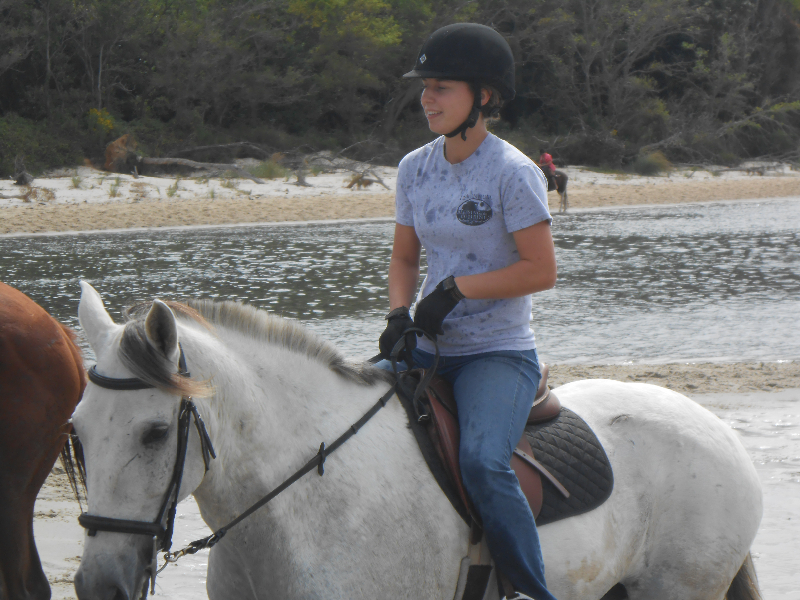 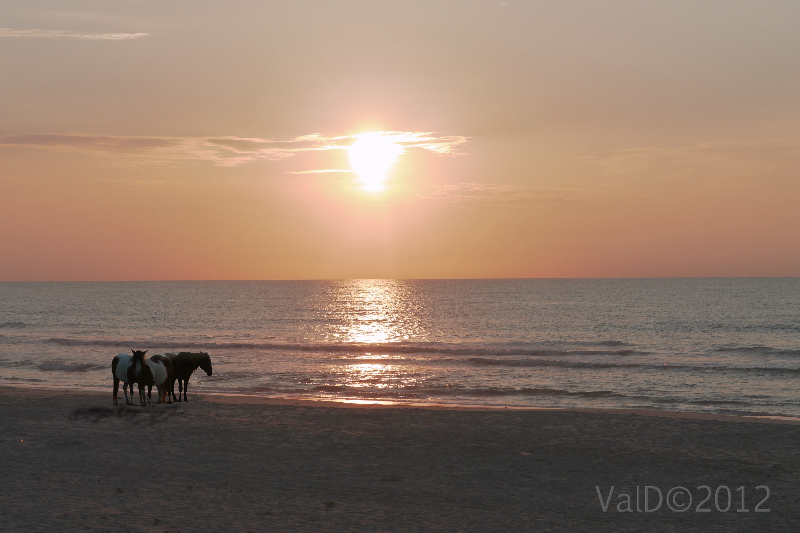 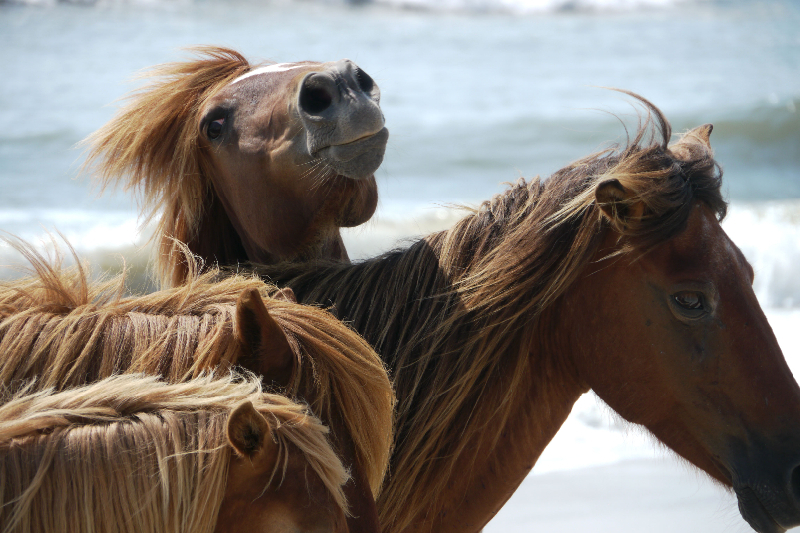 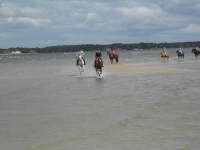 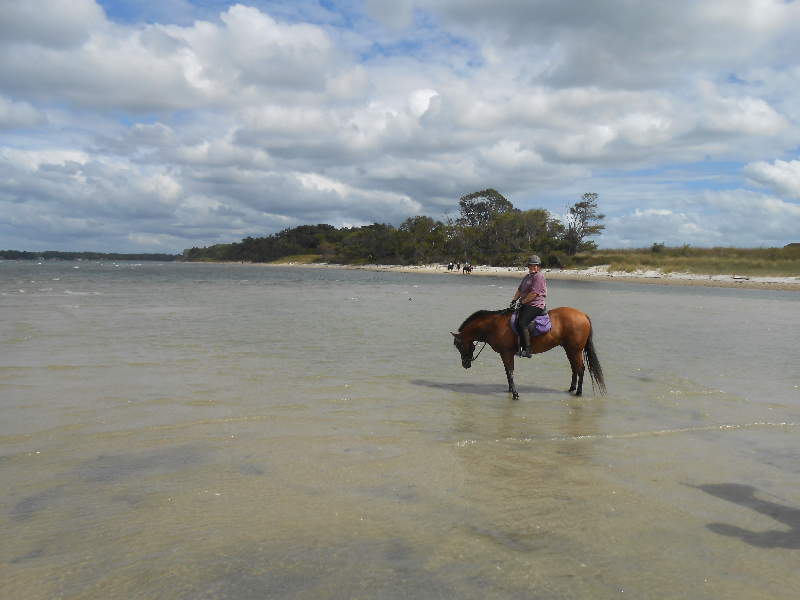 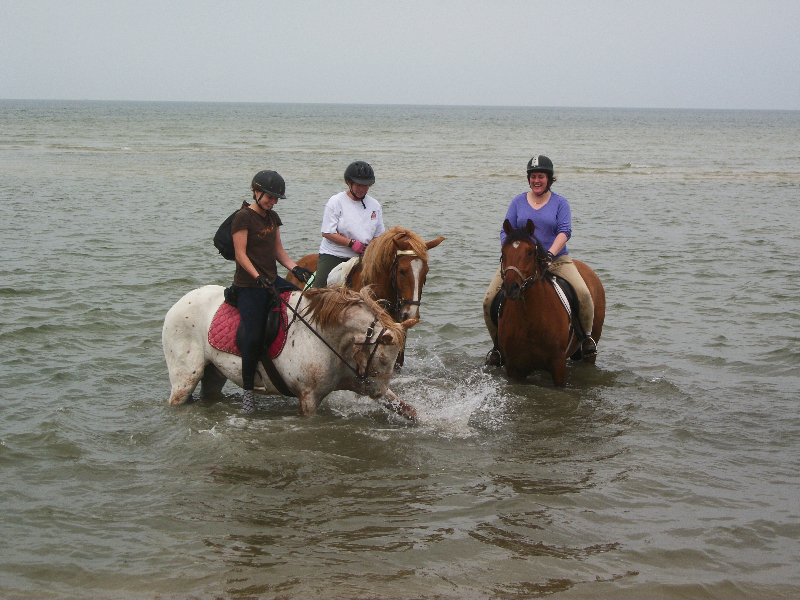 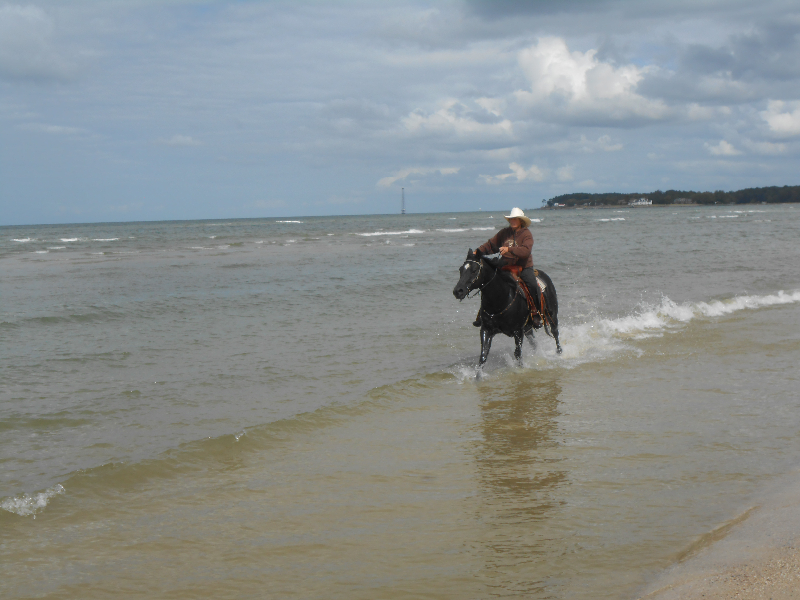 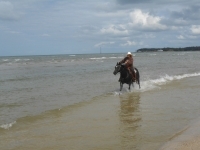 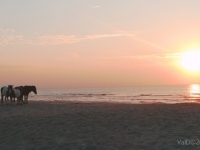 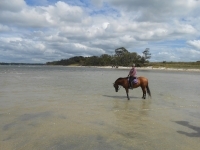 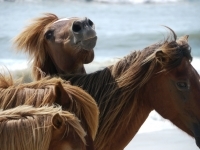 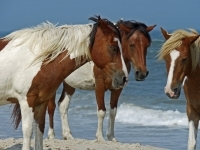 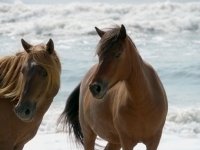 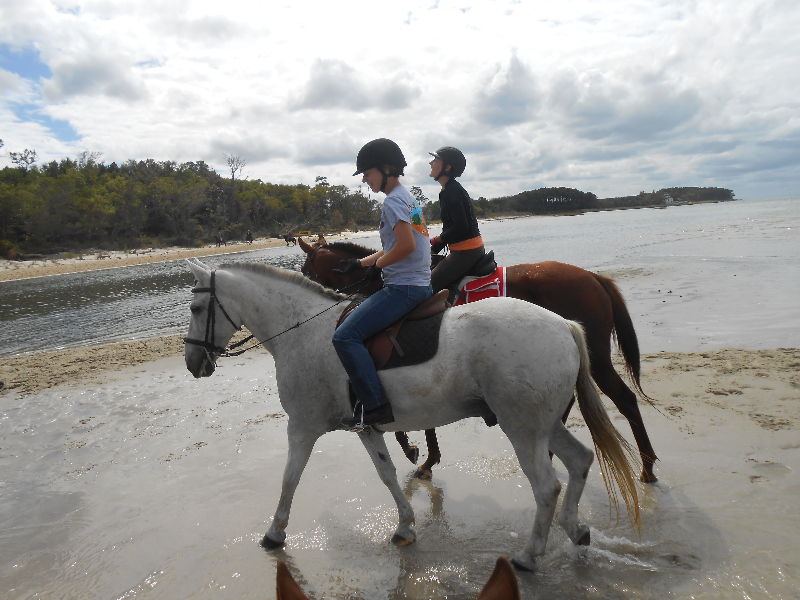 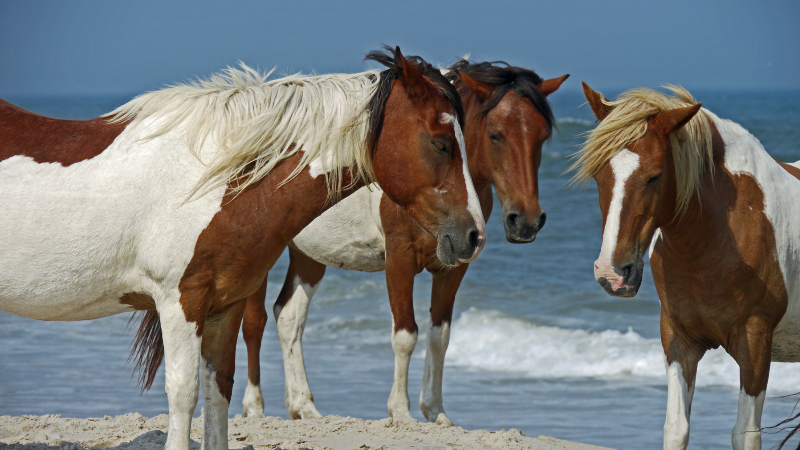 More than 300 hundred horses wander the 37 miles of beach occasionally dipping in the ocean to escape summer flies. 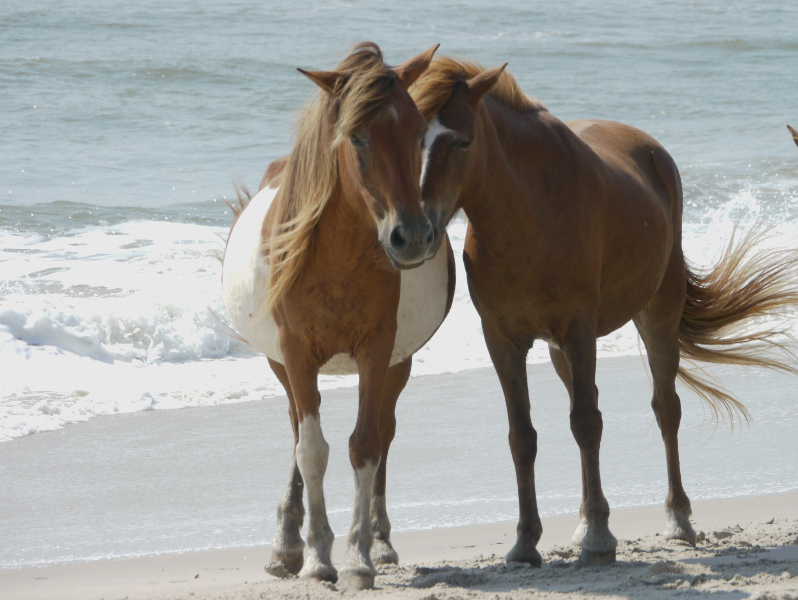 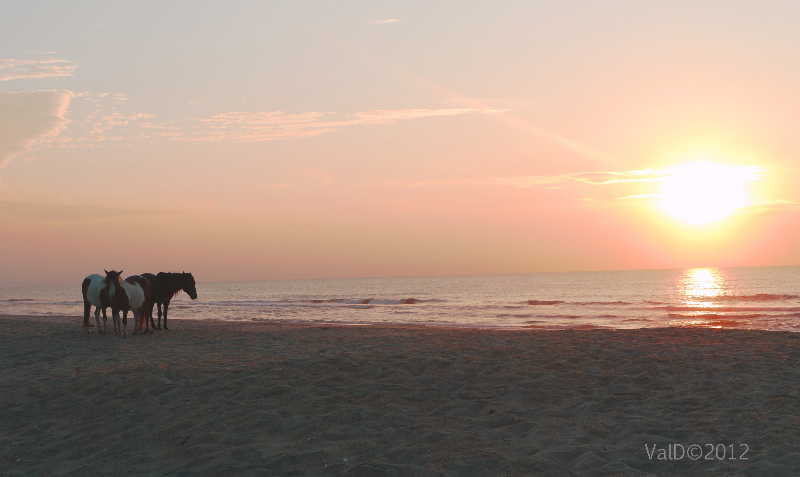 Assateague Island National Seashore was founded in 1965. 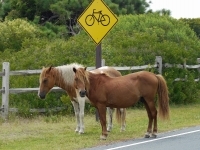 It is also a National Wildlife Refuge along the Atlantic waterfowl flyway. 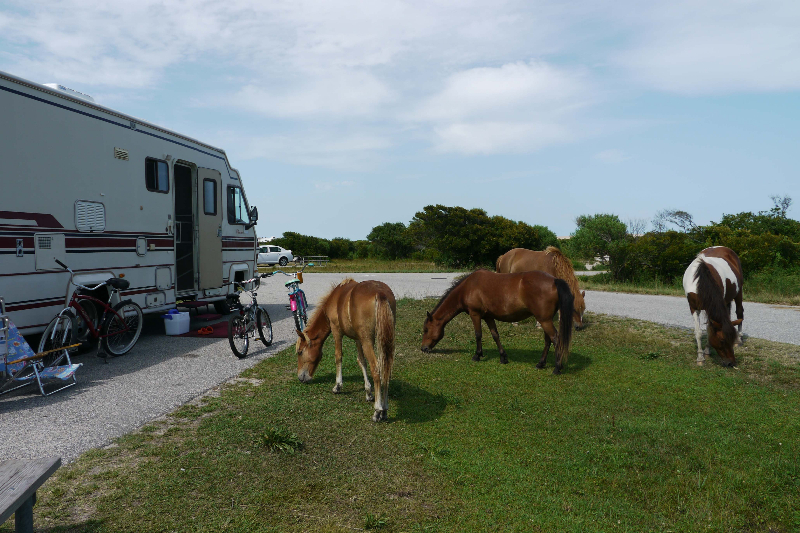 Visitors to the Park may drive or take a boat or kayak tour available at the Nature Center to catch a glimpse of the horse herd. 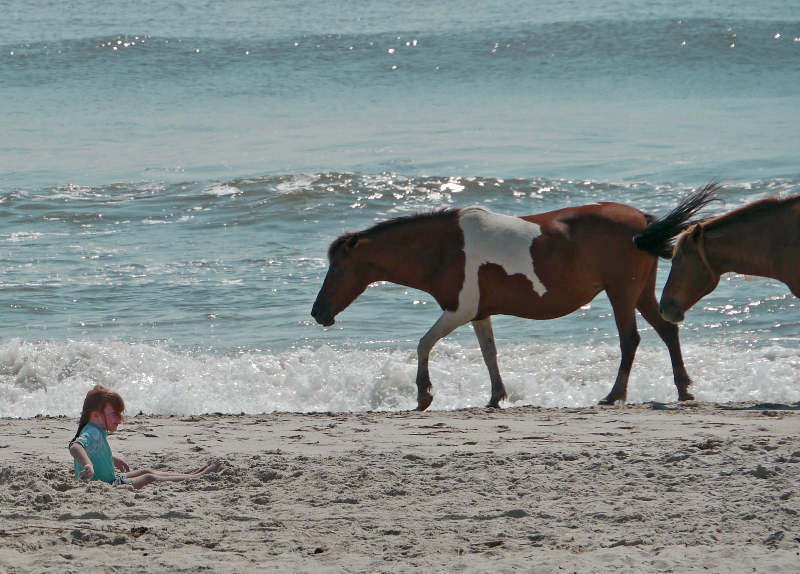 The Park is open year round. 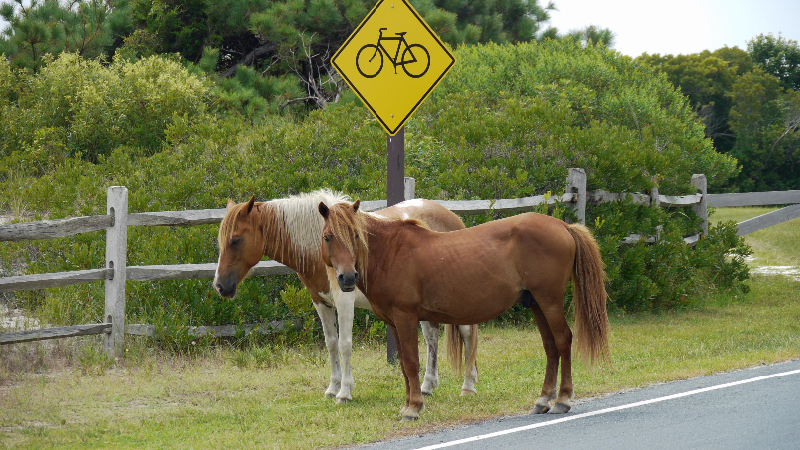 There is a $3 access fee except for hikers and bicyclers, who go free.